When we consider an Atletico Madrid team, playing at their best, we only have to look at the workmen-like team spirit, employed by their bullish manager Diego Simeone. Tough, physical and robust describe their players, roared on by a packed Vicente Calderon stadium. To be worthy of a place in the champions line-up you must prove yourself as fighter, someone willing to put their head in where it hurts most, a quality in which strikers Falcao, and Diego Costa have shown in recent times. Under Simeone, the team play like a pack of soldiers, putting out fires all over the pitch. Each individual knows their job making them a tough unit to play against. The aggressive playing style incorporates neat football, and balls into the box from wide areas. 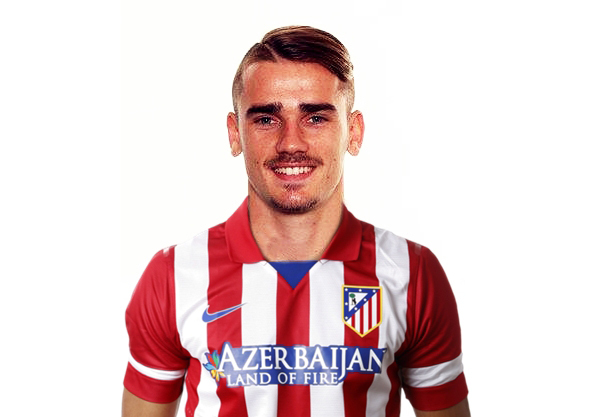 The signing of Antoine Griezmann was therefore an intriguing acquisition from Real Sociedad; a dainty winger, bleached hair, and despite his skilful qualities, it could have been questioned whether he was the right fit for Atletico. The answer seems to be a definite. Since joining from the Basque outfit, the Frenchman has been key to Atletico’s attack. A willing runner, and although he may not appear to have the physicality of Raul Garcia, or Koke, in the midfield, he offers something different to the side. He is not the typical wide player some may consider him to be. He likes to influence the play from central areas, committing defenders, and making diagonal runs into the box. The result has been warm applause from Atletico’s fans who seem to be enjoying the extra dimension which Griezmann brings to the team. He is a player that looks to fit Simeone’s tactics reasonably well. Instead of loitering on the left wing, he will work hard, a trait which is so important for wingers in the modern game. Those at the Anoeta, home of Real Sociedad will no doubt miss the classy winger who brought so much to the club, and although he may not completely revolutionise Atletico’s starting line up, Griezmann has proved he is a worthy cog in the Atletico engine room, a quality essential for any title winning side.